In celebration of Jonny, Fallen Glider 5, release on Jan 30th, AWARD WINNING Nicky, FG1, Kindle ebooks are on sale for only .99 cents!!! 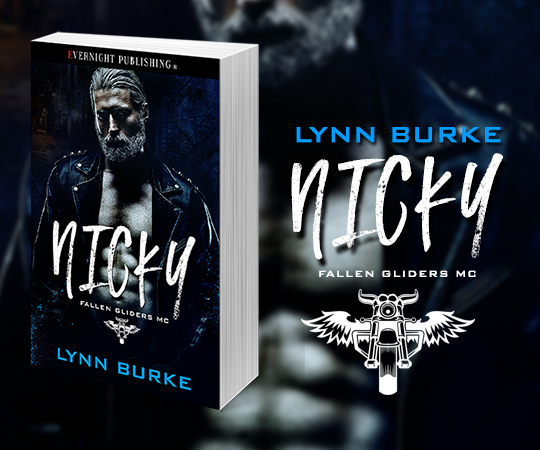 Dominic “Nicky” Landon has been a Sergeant at Arms for the Fallen Gliders for thirty years. When he finds out his only sister overdoses on drugs dealt by his brothers, he hands in his colors and severs ties to the club and vicious lifestyle forever. 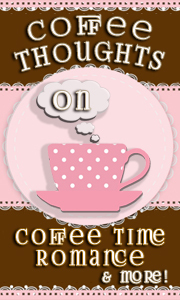 How ‘bout a raunchy excerpt?? “Not too young.” Gauntlet thrown, I waited for his attention to return to my face. Eyes full of lust, a leashed animal that ought to scare the s*** out of me but didn’t. He captured my lips, but without the brute force I’d expected. Hunger, yes, but the full softness of his lips pressed against mine, taking and tasting, his tongue probing, whiskers brushing my skin. I parted my lips and moaned as he sank his tongue into every hidden corner of my mouth, filling me with the taste of whiskey and pure male. My skin pebbled, pulse thrummed. “G******.” Nicky stood and yanked me off the stool. Virile, pure hardness and muscle beneath the leather hiding his skin from my grasping hands. His fingers fisted in my long hair, tangling and yanking my head to the side, the other grabbing my a** and hauling me against his huge c***. “I’m h-hardly an innocent,” I gasped as he bit my earlobe and ground his c*** against my sopping jeans. I did as told, bending at the waist and putting my backside on display with a little wiggle. 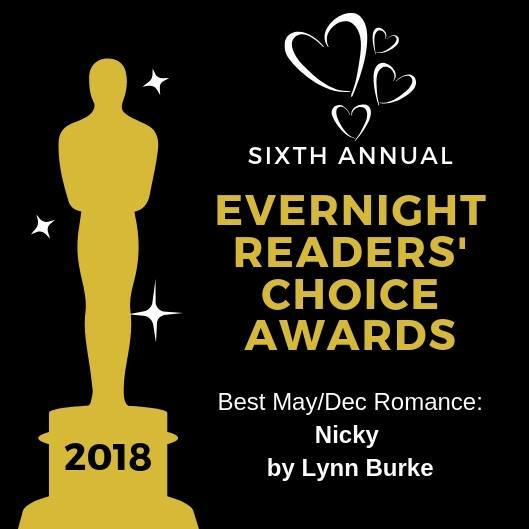 I licked my lips, hoping for another flash of light, but Nicky palmed my waist and leaned over my back, his hard length pressed against my a**, the heat of his skin searing me through my shirt. NAB YOUR KINDLE SALE COPY WHILE YOU CAN!